The last 12 months has been an exciting time for TUCO. 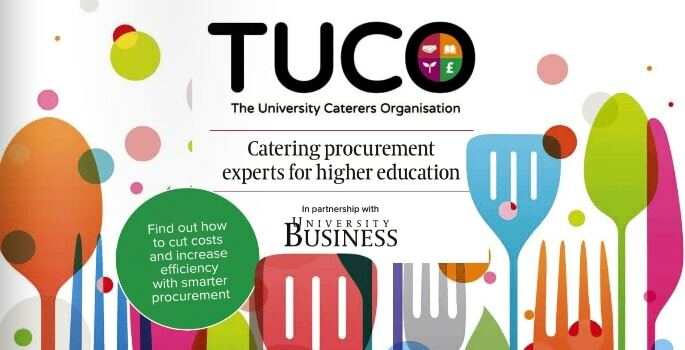 The University Caterers Organisation has exceeded all expectations, from multiple new enhancements within its procurement services, to winning several industry-leading awards. In 2018, TUCO procurement has significantly expanded to include additional services such as the new Further Competition Service; an additional procurement audit to find even better value in purchasing, and TUCO Local; a service where members can collaborate to create bespoke agreements with local farmers and manufacturers. On the back of these money-saving opportunities, its web-based E-procurement application, TUCO Online, provides institutions a solution to manage and control supplier trading relationships, waste, stock, recipes and menus, and nutritionally analyse menus due to the inclusion of allergen management. Additionally, this year, TUCO launched its innovative Greenhouse Gas Calculator, enabling caterers to easily calculate the greenhouse gas footprint of their menus. 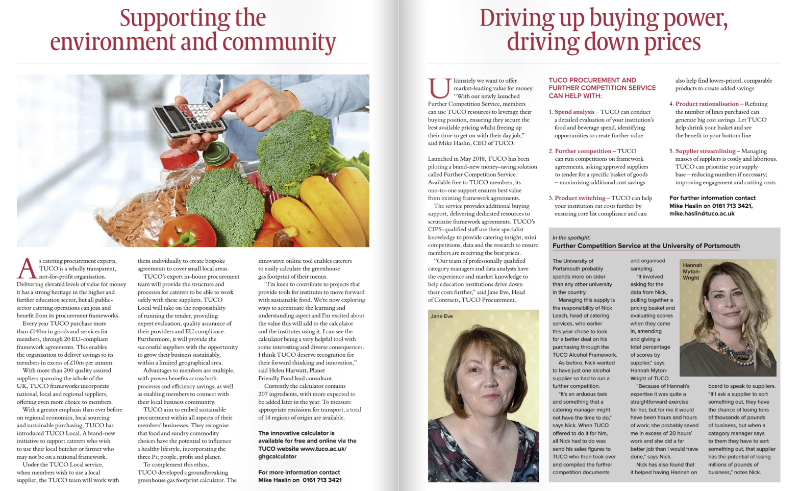 Find out more about these new initiatives in the TUCO supplement.